When I started Pukka Software in 2002, the MotorsportReg.com service as it exists today was available at pukkasoft.com. 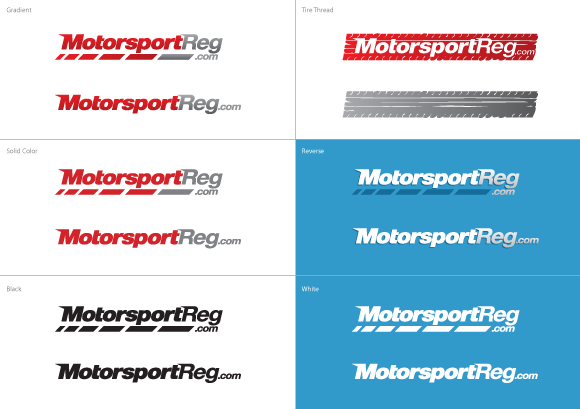 It wasn't the most intuitive nor multi-purpose domain in the world so I registered MotorsportReg.com in early 2004 and we've been there ever since. My business partner from my former design and technology consultancy whipped up a quick and simple type face for MSR that served as our logo for the last four years on the website, t-shirts and print materials. We wanted a little more "character" for our logo and received a wide variety of ideas from a design shop. Ultimately, we came up with something we thought provided continuity but gave us a few more options depending on the target medium, size and color depth. We also scored a shiny new favicon graphic that shows up in the address bar while browsing MotorsportReg.com - a little red M to complement the new logo. I am especially thankful for the great input we received from our customers when we posted in-progress versions to our organizer forums. That thread was one of the longest we've ever had! :) I think the results speak for themselves and we've received a lot of positive feedback. It feels good to step into 2009 with a fresh look!